August -- the official 'Dog Days of Summer'. Happily, the pleasant maritime climate of ours makes life quite pleasant around here. I hope all of you (both 2-legged and 4-legged) are enjoying these beautiful summer days. TUES: 9 August: Bar and lounge open at 5; WED: 10 August: Bar and lounge open at 5 - Burgers! ; THURS: 11 August: Bar and lounge open at 5 - Monica's Mexican; FRI: 12 August: Steak Night! 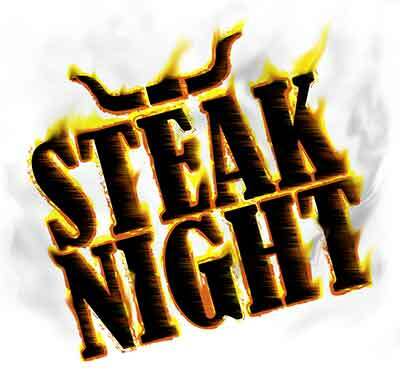 Steak night returns! Sign up on the website to reserve yourself a tasty filet - just $20 gets you a cooked-to-order steak, baked potato and salad. It's the best deal in town with the best view to boot. Sign up today! Rick will be serving up good old fashion Smoke House Pork Shoulder summer BBQ themed. Meat and rolls provided, PLEASE BRING A SIDE DISH TO SHARE. 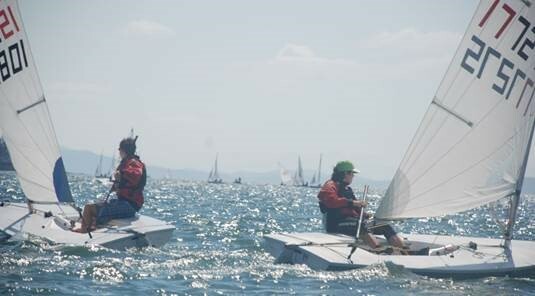 Last weekend saw the club host another very successful regatta, this time for Youth Sailors! Fridays @ 5 was also well attending, with Dan Wooldridge doing the honors behind the bar! Here’s this weeks schedule of events. WED: Burgers hot off the grill! THUR: Monica’s Mexican, with the best carne asada this side of the border and those tasty bean burritos! FRI: STEAK NITE! Bar and lounge open at 5, dinner service starts at about 6! PacRim 2016 has come to an end. The medals have been awarded, shirts have been traded, pictures have been taken, email addresses exchanged. The traditional "talent show" was a big hit, and participants, host families, organizers, and boat owners danced and partied together for hours. The memories will last forever. We cannot say enough about the warm hospitality extended to all of us, not only by our host families, but by all the people of Nakhodka. And the camaraderie among the participants was very special. In case you are wondering, the Aussies had a stellar race day on Friday and edged Team Bellingham out of third place. And we mothballed the well-worn "Small, Small World" ditty and presented a well-received Ski-to-Sea "demonstration" for our skit. Editor's Note: Congratulations Team Bellingham for representing both Sister Cities and the BYC so well. Welcome home!! Our Family Luau cruise to beautiful Sucia Island on August 19-21 is only 2 weeks away! To sign up, please go to http://cruising.byc.org/ so we can get a headcount. This popular cruise is fun for the entire family so bring the kids and grandkids. Show your Aloha spirit and wear your favorite Hawaiian shirt or outfit and we'll bring the leis. We will be at the group picnic area located between Shallow and Echo Bay. It all kicks off Friday night with smores around the campfire. Then on Saturday, we'll have a Hawaiian Luau with tons of great food and games with prizes. The club will provide BBQ chicken and tropical coleslaw. Please bring a side dish or dessert to share. Its Time For Reservations To Be Made !! 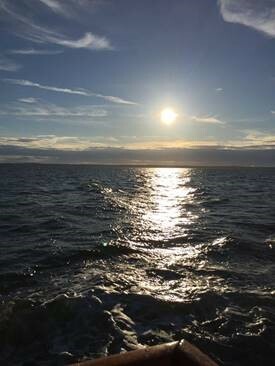 Every year the Autumn Equinox marks a day of equal light and darkness and the BYC traditional end of our cruising season. This popular and intimate cruise is about our boating friendships and our shared enjoyment of the Salish Sea in one of the nicest locations in the Sea. Poets Cove Resort and Spa is located on South Pender Island, British Columbia and our Cruise Dates are September 23, 24 & 25, 2016. 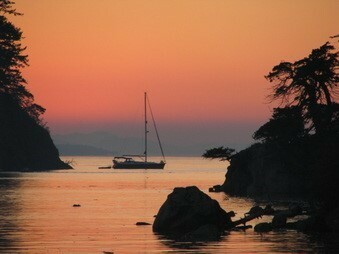 Your Time – Depart to Poets Cove from where ever you are in the Salish Sea. 1000 – Dock Side Potluck Breakfast. 1100 – Coastal Nature Hike to Gowland Point –or- a hike up Mt. Norman to one of the most beautiful views of the island. 1800 – Salish Sea Dinner either prepared by Poets Cove Chef using local catch and Pender Island grown side dish, or we may have a Salish Sea cook-off prepared by members – details to follow. Poets Cove Resort & Spa has a great breakfast buffet where you go on your own schedule before leaving for home. Due to enhanced security regulations you need to make your reservation directly. 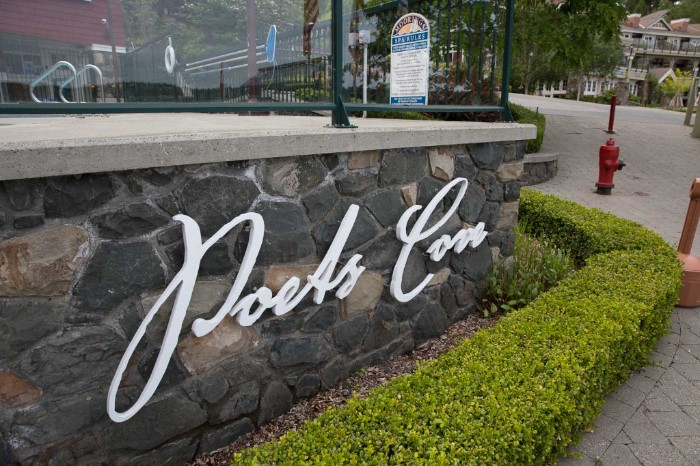 Make your Room Reservation - Poets Cove has very limited rooms and only in the cottages available at a special rate for the Bellingham Yacht Club. This is a great cruise to bring people who do not have a boat to stay on. Contact the Front Desk (888) 512-7638 and tell them you are making a reservation for the Bellingham Yacht Club. Please contact me by e-mail at glacierwashington@gmail.com if you are interested in joining us. Use my phone numbers (360 306 2800/360 599 9305), only for last minute plan changes. Thanks. The Regatta is August 27, 2016. Make your plans now for a great day on the water and a fun party and dancing with the Atlantics. 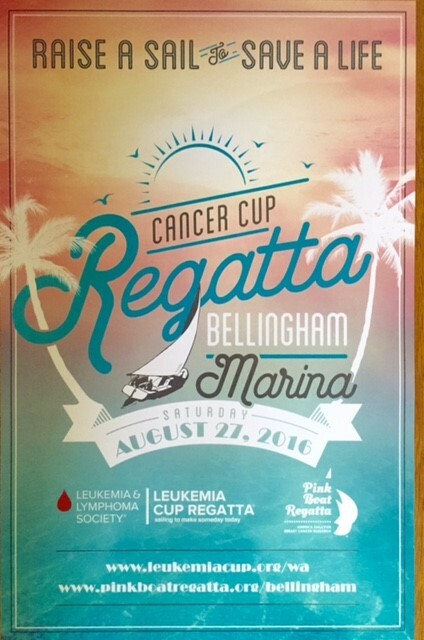 Vice Commodore Neil Bennett (Pink Boat Regatta Chair) and Rear Commodore Jim Gibson (Leukemia Cup Regatta) will be co hosting the Cancer Regatta on Saturday August 27, 2016. Sailboats in two fleets will race to raise money for the research and cure of two of the most common cancers - Breast Cancer and Leukemia (Blood Borne Cancer) on the same course. The race course will be in clear view of Boulevard Park. Jim has ordered up sun and warm wind, while I have ordered more of last year's weather...who will be right? Sailors, register your boats at BYC.org for Leukemia Cup or Pinkboatregatta.org for Pink Boat Regatta and join in the fun of good-spirited racing and fund raising. Then join us at the BYC where a $15.00 donation will get you in the door for a fun party and dancing with the Atlantics. Running the Bellingham Youth Regatta last week was exhausting, mostly with managing all the small details like tracking trophies, ordering Port-a-Potty for camping, arranging Mark/Safety boats, picking up T-shirts and taking calls from participants. Me and my wife, Ann, welcomed over 10 youth sailors into our home who were spread out all over our floors and couches (it smelled like wet “teenager” all weekend!). On Sunday, while on the RIB delivering lunches to sailors and race committee, I was texting volunteers to order 30 pizza’s for the awards, taking photos for the slide show, escorted a youth sailor to the dock who was hit in the head by the boom, calling my doctor wife, Ann, who met us at the youth dock and performed a concussion test (good news.. it was not serious and our Emergency Action Plan was put into action). In the end, it was all worth it... all the compliments about our club were overwhelming. It’s hard to believe, but we’re now into our last Wednesday Night Series “Hot August” with PITCH just around the corner. It’s been a challenging year with low turnout, especially in the PHRF fleet. The most frustrating part is not having our own BYC Members race and support our Wednesday race program, rather opting to race a different night. 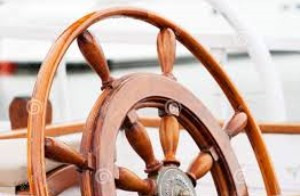 The Sail Fleet will be working hard over the winter months by contacting each skipper to get commitments. I promise, our race program numbers will be up next year one boat at time. It’s that time of the year when we start gearing up for our annual Labor Day PITCH regatta. We intend to have many volunteers each doing a small and easy part to make sure it all comes off without a hitch. It does not matter if you want to spend one hour, one day, or the entire weekend. We have a job for you and you will feel great that you made a contribution to our largest keelboat regatta of the year! If you will be in town the weekend of September 3&4, and would like to be involved in some way please contact me directly. Please let me know if you can help out for one of the days and we will accommodate your schedule. Terry Tavelli, Mick Corcoran, Andrea Hood, Scott Wilson, Steve Hood, Katie Stephens, John Pedlow, Shea Walker, Tim Thompson, Mike Powell, Ann Knowles, Tracy Peterson-Nienaber, Jerry Roloson, Jim Attwood, Susan Henderson, Jamie & Tom Ashton, Courtney Starks, Randy Nulle, Teresa Werner, Katie Day, Mark Santosuosso, John Stocklass, Mark Goodman, Susan West, Craig & Marian Henderson, Bill & Karen Colgrove, Julie Rogge, Tom Malone, Karen Fischer, Judy Powell, Jeffery Werner, Liam Hood, Mark Goodman & Steve Hayward. 1979 32' Islander sailboat we need to part with as we do not have time to sail her. She has been with us for 19 years and lovingly cared for. She has under 500 hours on her new Yanmar 30 hp engine. 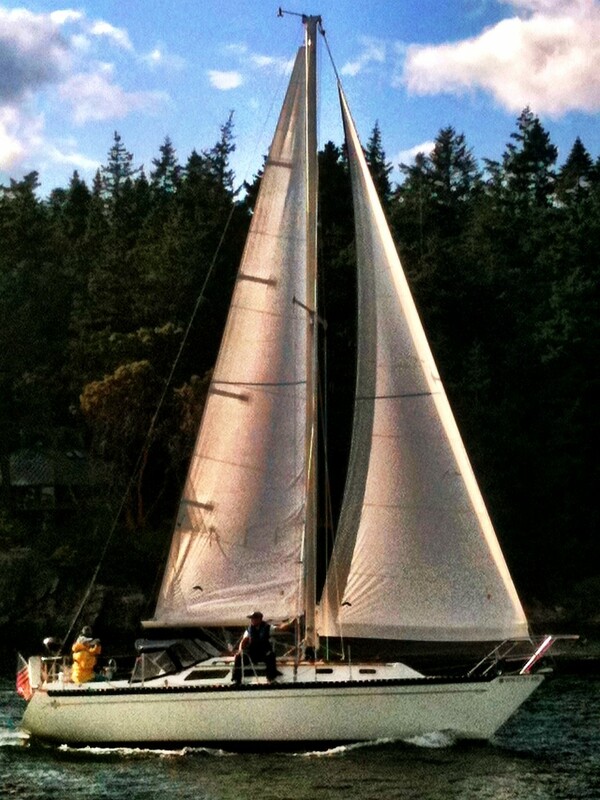 Spotlight Gal is a classic sailboat with beautiful lines. We get lots of compliments on her. For more photos, click here - here - or here! The sometimes island at the head of Eastsound, Orcas Island, was the topic of last week's picture. Rick Laursen, Scott McEniry, and Meredith Ross correctly identified the location. This week's picture might have been taken a bit farther from home. 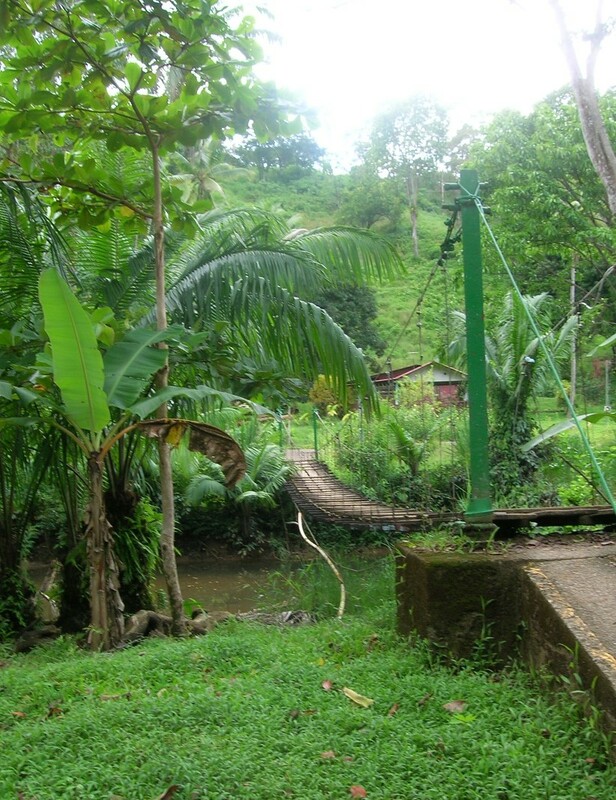 If you know the location, send your answer to drsteveross@gmail.com. The winner of the last Chess Challenge was Scott McEniry. Here's the link to this week's challenge! Submit Stories by Noon Mondays to communications@byc.org. Copyright © 2016 Bellingham Yacht Club, All rights reserved.